After a few initial days in Panama City we rented a car and headed to the country spending two days in El Valle de Anton. After a monster traffic jam on the PanAmerican Highway we finally made it. 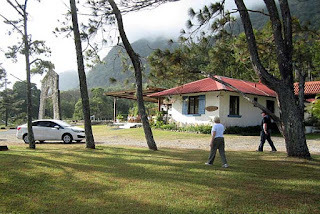 El Valle is a small village inside a long extinct volcano. 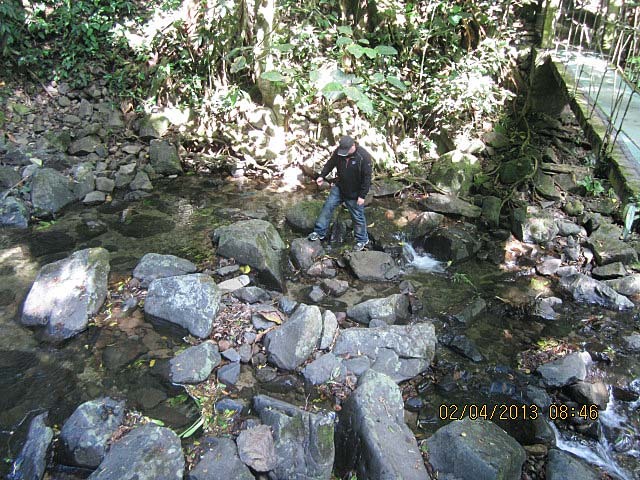 Surrounded on all sides by the volcano walls, El Valle has its very own ecosystem basically. The inland side of the crater is wet and rainy as the clouds come over the rim. The south side is much drier as the clouds rain themselves out and evaporate before they travel the short distance across the crater. 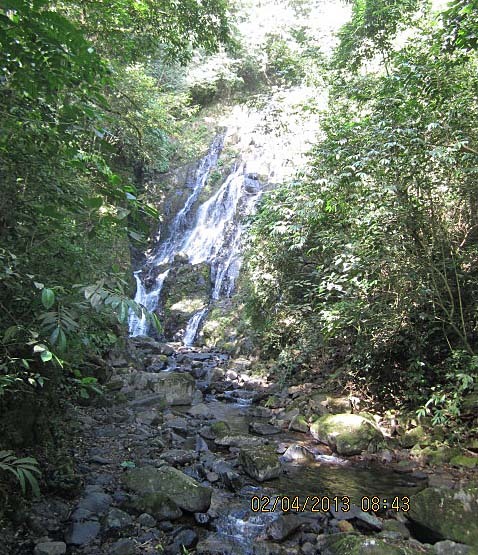 The wet side of El Valle has several nice waterfalls and dense rainforest. 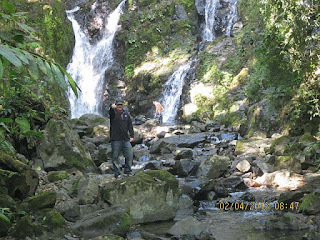 The highlight of the waterfalls is named El Macho. The morning of day two we planned to make the hike to Chorro El Macho. Our travel guide said it was a two and a half hour trek so we prepared accordingly. 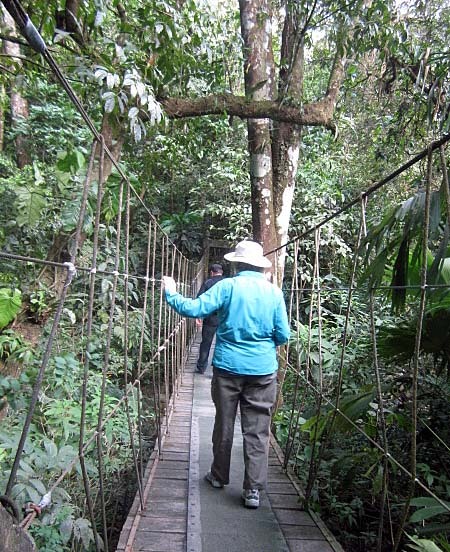 It is a short distance from downtown El Valle to the beginning of the hike. There is a small hut and you must pay to access the trail. If I remember right it was about $3 which was well worth it in the end. We paid the nominal fee and headed off for what we thought was going to be a nice long hike. In reality the hike to El Macho is very short. We crossed a delightful swinging bridge and took some pictures. From the bridge we carried on and within minutes found ourselves at the falls. A two and a half hour hike was more like ten minutes. Surprised, we shrugged and turned our attention to the magnificent 85 foot waterfall before us. El Macho is beautiful. 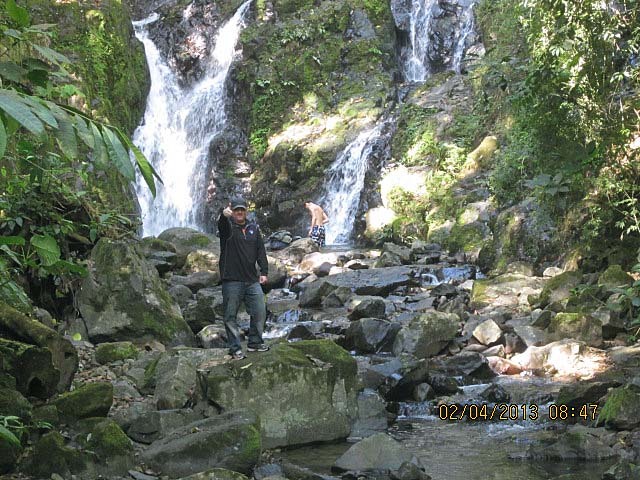 I climbed down from the bridge to the river below and made the short hike to the base of the falls. 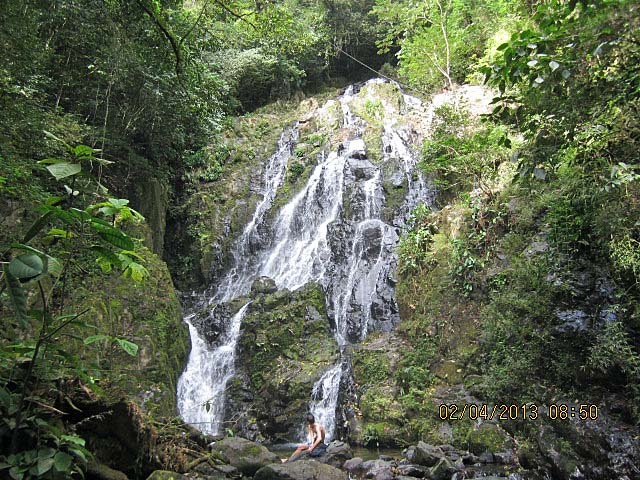 There is a small pool at the base of the El Macho that offers a nice area for a refreshing swim. The water is not overly cold so hop right in! After some time to take in the view and pictures we made the short hike back to the road. In all the entire trek took about an hour. Shorter than we expected, but a worthwhile jaunt. Don't miss the hike to El Macho on your El Valle de Anton visit.